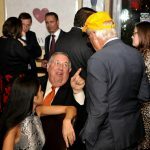 Oh, what a night! 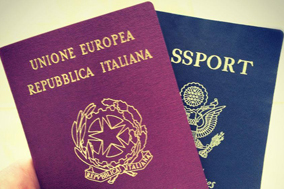 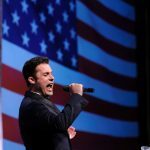 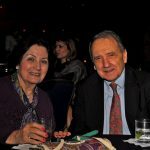 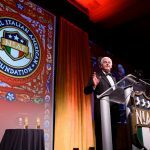 On November 4, The National Italian American Foundation’s 42nd Anniversary Gala attracted Italian Americans from across the country and friends from Italy for two days of music, food, friendship, education, entertainment and Italian pride in celebrating our heritage and culture at the Washington Marriot Wardman Park Hotel in Washington, D.C. 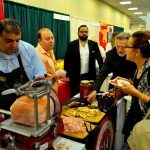 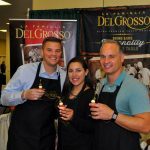 The nation’s premier Italian American gathering this year was presented by the 2017 NIAF Region of Honor, Sicily, and Unioncamere Sicilia, the association of Sicily’s Chambers of Commerce. 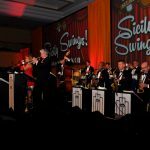 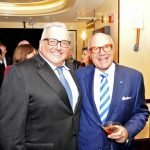 Highlighting a long weekend of events was Saturday evening’s centerpiece, the formal Awards Gala Dinner, featuring Sicilian fare and recognizing five outstanding honorees who have achieved special distinction and reflect the pride of the Italian and Italian American communities with their outstanding accomplishments. 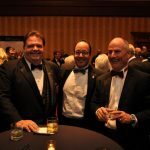 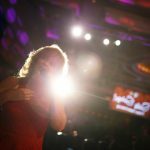 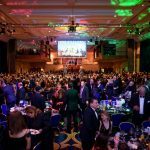 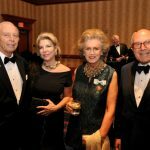 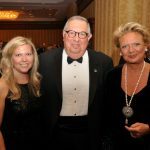 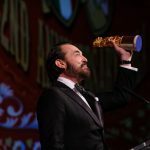 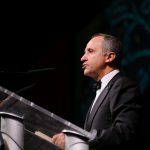 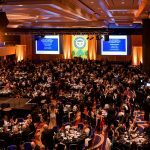 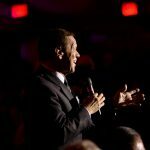 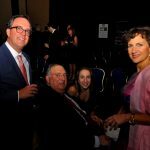 Emceed by Emmy Award-winning journalist and Fox Business Network anchor Maria Bartiromo and NIAF President and Chief Operating Officer John M. Viola, it was an evening that brought more than 1,500 guests to their feet with celebration, laughter and tears. 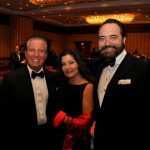 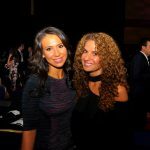 To view more photographs from the NIAF 42nd Anniversary Gala Weekend from NIAF’s official photographer Andy DelGiudice, and to order your own, please visit: NIAF 2017 Gala Weekend Public Photo Gallery. 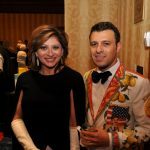 Following the invocation by Monsignor Peter J. Vaghi of the Little Flower Parish in Bethesda, Md., co-host Viola, whose colorfully designed Sicilian jacket was the talk of the Gala, stood at the podium with Bartiromo and said, “Both of us share a little bit of our ancestry in this beautiful island of Sicily.” They then announced that while, maintaining its non-partisanship in not giving an award or recognition to an elected official since the 1980s, the NIAF Board had voted to bestow its inaugural NIAF Community Champion Award to New York Governor Andrew Cuomo, for his leadership on behalf of Italian Americans in protecting Columbus Day and the Columbus Circle statue. 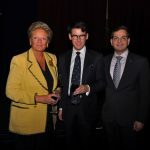 Due to the recent terrorist attack in New York City occurring so close to the city’s marathon the next day, Cuomo couldn’t be present for the award. 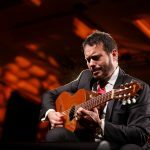 Unioncamere Sicilia President Antonello Montante’s remarks segued into a beautifully-filmed video introducing the wonders of Sicily, accompanied, on stage, by Sicilian-born, world-renown maestro Tom Sinatra’s mesmerizing classical guitar homage. 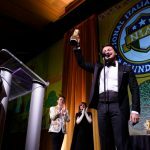 As the evening’s primo course of Pasta alla Norma was served, along with a variety of fine wines from Sicily’s Mandrarossa winery, Bartiromo introduced the evening’s first honoree, famed TV Chef Nick Stellino, recipient of the NIAF Special Achievement Award in Humanitarian Service. 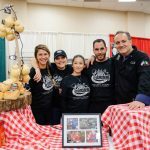 The chef spoke of his dreams and self-confidence that took him from his native Sicily to America, and inspired him to work his way up “from dishwasher to prep boy and from prep boy to chef,” then to running his own restaurant and to his cooking program on public television. 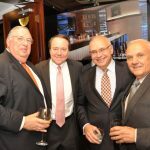 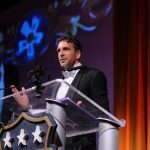 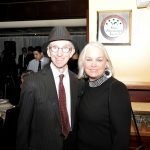 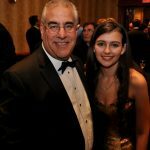 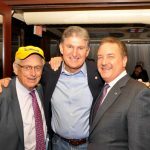 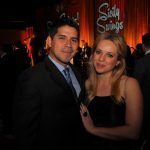 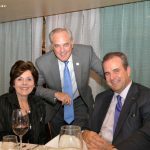 After DeLuca’s comments, John Viola announced that John DeLuca and the Fred DeLuca Foundation had committed to funding NIAF scholarships of $500,000 over 10 years. 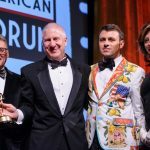 Then, Basil Russo introduced the three finalist filmmakers and their films of the inaugural Russo Brothers Italian American Film Forum, a grant to fund creative filmmakers to capture aspects of the Italian American experience. 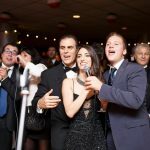 Following 30-second video clips from each, the screen switched to Atlanta where Russo brothers Anthony and Joe are filming their current movie, “Avengers: Infinity War.” With their mother, Patricia, they announced their 2017 grant winner: “Italian American Baseball Family” by Roberto Angotti. 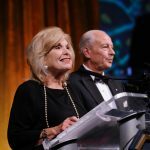 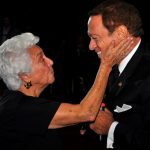 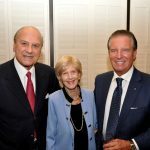 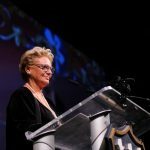 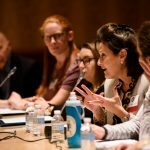 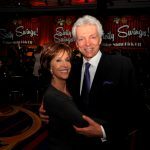 Following a video presentation of NIAF’s educational programs, the co-hosts gave recognition of the Sergio Franchi Music Scholarship Foundation and its founder, Eva Franchi, who was in the audience. 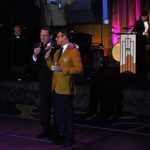 To the audience’s delight, acclaimed tenors James Valenti and Alfio took center stage for a roof-raising melody. 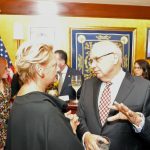 As the secondo course, Involtini Siciliani serviti con caponata (breaded veal rolled with provolone cheese on caponata) was served, honoree Alessandro Profumo, who received the NIAF Special Achievement Award in Business and Finance, told guests about growing up in Palermo, and the growth of business ties between Italy and the United States. 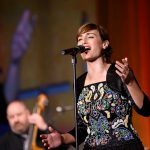 After an In Memoriam video presentation reminded guests of the great Italian Americans and Italians who passed this year, Sicilian singer and autoharpist Alessandra Salerno performed two songs. 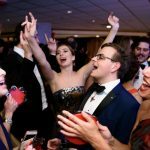 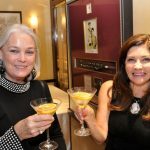 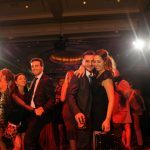 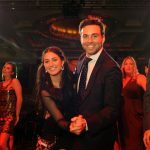 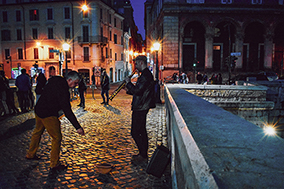 Following the Gala’s Live Auction, which featured once-in-a-lifetime items from an amazing 10-day trip through Italy from Gala sponsor Nero Hotels, to luxury Fregoli handbags valued at thousands of dollars. 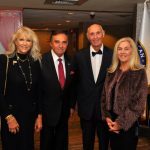 With the Gala ending, NIAF Co-chairs Patricia de Stacy Harrison and Gabriel Battista thanked the honorees and guests, and then called outgoing NIAF President John M. Viola out on stage to recognize, as “somebody who set the bar about protecting the Italian American culture.” With the members of the NIAF Board joining them, Harrison and Battista presented an award to Viola representing the many progressive changes he made during six years at the NIAF helm. 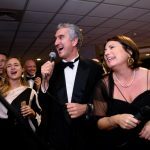 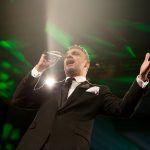 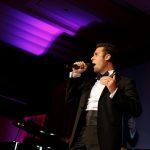 Ending the Gala Dinner was crowd favorite Alfio once again getting guests on their feet with some Italian favorites, including “Luna mezz’o mare,” which sent everyone toward the After Party happy! 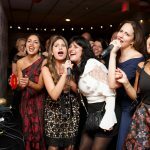 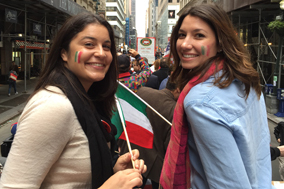 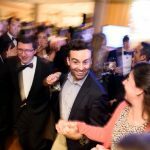 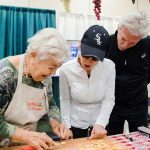 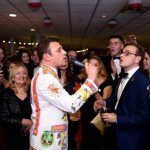 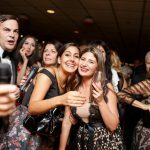 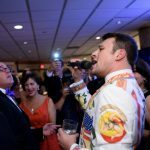 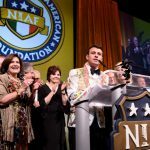 Once again, where guests and late-night celebrators, tambourines embossed with the NIAF logo in hand, sang karaoke and danced to popular Italian and Italian American classics well into the morning! 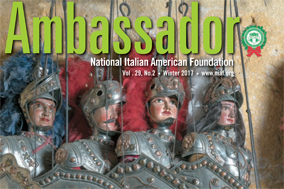 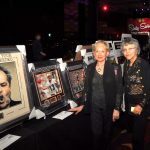 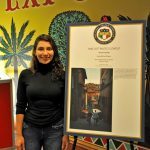 The night of Gala Receptions and the Awards Dinner were preceded by two days of Italian and Italian American themed events, many of them free and open to the public. 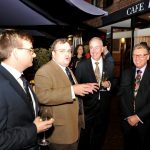 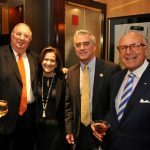 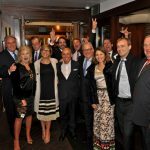 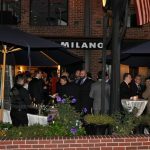 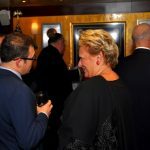 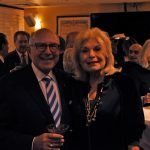 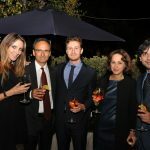 On Thursday evening, members of the NIAF Board, the Italian American Leadership Council (IALC), Gala VIPs and Members of Congress attended an exclusive reception and dinner at Washington A-list restaurant Café Milano, in the heart of Georgetown. 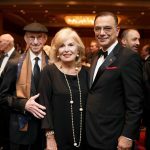 Guests were treated to a special Italian multi-course dinner created by owner and NIAF 2016 Gala Honoree Franco Nuschese and the classical tunes of internationally renowned guitarist Tom Sinatra. 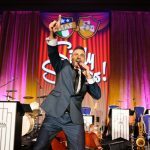 Friday night finished with the 42nd Anniversary Gala Kick-off Celebration, a ticketed event, open to the public, that essentially is a huge Italian American party, filled with singing, dancing and open bars featuring Italian cocktails. 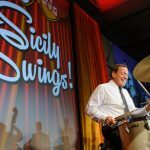 With the RKO Radio Orchestra on hand to keep the beat and pull partiers to the dance floor all night, NIAF Celebrity Ambassador Joe Piscopo opened the show with several favorites, including “New York, New York” and “Sing Sing Sing.” In its American debut, The Carlo Butera Band surprised the crowd with traditional Sicilian and jazz; the Lena Prima Band started feet tapping with New Orleans swing and jazz, plus some favorites from her famed father Louis Prima; tenor Carmelo Sorce seared audio waves with his operatic vocals; and famed tenor Alfio turned the dancefloor into happy chaos. 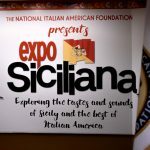 Saturday’s popular, free, and open-to-the-public Expo Siciliana, each year the largest Italian festival in the Nation’s Capital, attracted more than 3,000 people to its stroll-through marketplace filled with food samplings and wine tastings, lively Italian music, and demonstrations galore. 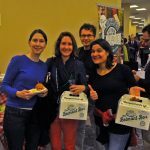 Topping the bill was the annual return of the famous free lunch, provided by NIAF and Mike’s Deli, the original Arthur Avenue Italian Deli from the Bronx, which also served hundreds of Pane con la Milza (Sicilian spleen sandwiches) and pani ca’meusa (chickpea-fritter sandwiches) through the morning hours until lunch. 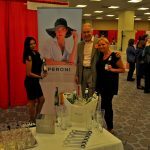 Also on hand were Peroni Nastro Azzurro serving samples of Italian beer; Cibo Italia again attracting long lines for its sliced Italian meats and cheeses; the mini-shots that BIVI Sicilian Vodka booth giving away; La Famiglia DelGrosso’s hugely popular “Meatball Martinis”; the eye-opening LaVazza Café espressos; “Cooking With Nonna” chef Rossella Rago; a new-product preview by Ferrero; plus many products and tasting brought directly from Sicily by Sicilian businesses, including the wines from Cantine Settesoli! 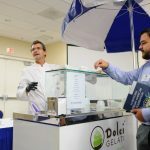 In addition, Dolce Gelato gave away tastes of the best gelato you’ll find; Alitalia let you experience its bed-like First-Class seating; Maserati of Arlington brought two spectacular vehicles, including the new Maserati SUV. 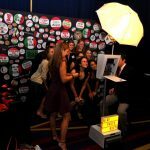 Other booths included My Italian Family, and Experience Sicily. 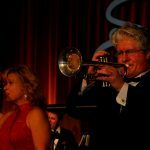 All this featured the musical accompaniment of Vanessa Racci and others! 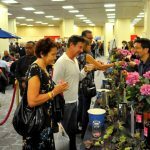 And that’s not to mention the educational sessions going on, including Tony De Nonno’s memorable performance of Sicilian marionettes; author Stephan Talty’s fascinating Q & A about his new book “The Black Hand”; medical conferences on “The Mediterranean Diet and Longevity” and “The Opioid Crisis”; and the annual Ieri, Oggi, Domini session exploring the future of the Italian American community. 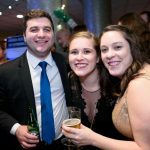 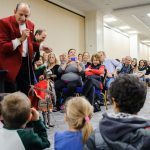 Overall, this might have been the best Gala Weekend ever, according to many attendees. 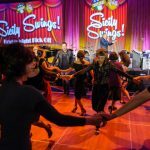 Start thinking now about joining us next year, October 12-13! 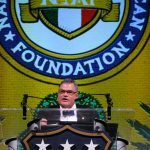 Proceeds from The National Italian American Foundation’s 42nd Anniversary Gala will benefit the Foundation’s educational programs.